Arthur Murray, born Moses Teichman in 1895, turned an interest in dancing and became one of the most important figures in the American dance scene in the 20th century. Starting with a mail order dance program complete with a step by step guide and footprints to lay on the floor, Arthur developed a knack for combining his business acumen with his love of dancing. While broadcasting a dance lesson on a radio show, Arthur met Kathryn Kohnfelder who he later married in 1925. 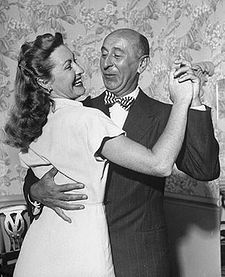 Kathryn Murray helped the Murray's become an iconic dance couple, and she's go on to appear on television, magazines, and write and co-author books on dancing, and her famous husband. Eventually, Arthur would open up dance studios so students could learn from teachers qualified in the Arthur Murray method of teaching. This led to his next dance business venture: Franchised Dance schools. 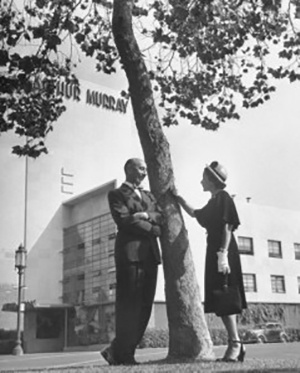 From 1950 through 1960 Arthur and Kathryn brought the teaching system, the company culture, and some notable celebrities at the time to join some of his top teachers on a variety show. It was one of a handful of television shows that was broadcast on all four major commercial networks during that era, also referred to as "The Golden Age of Television". The show featured the Arthur Murray professionals, not to mention Arthur and Kathryn, performing various dances which gave viewers an exposure to dances like Jitterbug, Foxtrot, Polka, and Cha Cha Cha. 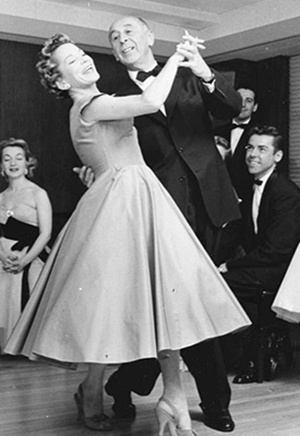 While television shows like Dancing with the Stars have put ballroom dancing in the limelight, the Arthur Murray Party debuted over a half century earlier, to an audience that was just transitioning to a new medium called the television, and the response was a continued up swell of new Arthur Murray students. Despite the external challenges of economic downturn, war, racial or political discord - people continued to dance. Today Arthur Murray Dance Studios have expanded through six continents across the globe in nearly 300 locations. Television shows like Dancing with the Stars, So You Think You Can Dance, and the remake of the movie Shall We Dance not only brought ballroom dancing into the public eye - but all included some of Arthur Murray's best professional dancers. After over 100 years, the instructors, executives, and franchisees of the company continue to apply and refine the teaching techniques of Mr. Murray. How you recover is as important, if not more important, than how you dance. The same is true in business. Where many companies have failed during the same time span all for very different reasons, Arthur Murray has maneuvered like, well... Dancers. Kathryn Murray used to say, "the hardest step you'll ever take is the first one through the door." Learning to dance begins when you decide to come in for your very first lesson. Within the first five minutes of your first free lesson you'll be learning the methods of what made Arthur Murray so famous. Take the first step and you can walk in, and dance out.